The roughly 85 species of krill, crustaceans that look somewhat like shrimp, are found living in the oceans around the globe feeding on single-celled, microscopic plants called phytoplankton. Comprising of two families, the Euphausiidae (also called Antarctic Krill), float in swarms near the ocean’s surface, and due to easier access are more commonly studied by scientists. Bentheuphausia ampblyops are the more primitive family, and they are found in waters below 30,000 feet. Numerous aquatic species from fish to penguins and whales use krill as their main source of food. 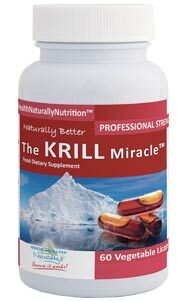 It would not be incorrect to say that without krill a vast majority of the Antarctic population would become extinct. While, krill fishing is not a threat to its sustainability, other human actions can negatively affect the existence of krill. Air and vehicle traffic, power stations and other uses of fossil fuels have already raised the average temperature of the Southern ocean by about 1degree over the last 50 years. Future projections predict even greater rise in ocean temperatures due to the effects of global warming. This could be detrimental not only for krill but the large variety of sea life it supports.